I was really stretching out my last bottle of the Fresh Seaberry Moisturizing Face Oil and so I was so happy when the sale started so that I could get a new one. I've been trying out new toners, cleansers, and moisturizers throughout the year but this facial oil was the only thing that I wouldn't give up. It's amazing for my dry/dehydrated skin and since it's getting colder, I'm happy to have a fresh (winkwink) new bottle to use during the day as well instead of just at night. In Sephora Favorites Chic it Easy review I did (here) a while back, I was able to try out the Atelier Cologne in Orange Sanguine and it was love at first sniff. It isn't too sweet or fruity, but had just the perfect amount of citrus in it to still smell fresh. Instead of a bigger size of Orange Sanguine, I got the Orange Sanguine and Vanille Insensée Layering Duo so that I could try out another scent as well. Just like Orange Sanguine, the Vanille Insensée scent isn't too sweet either. I'm experimenting with layering, but both of them smell wonderful just by themselves. 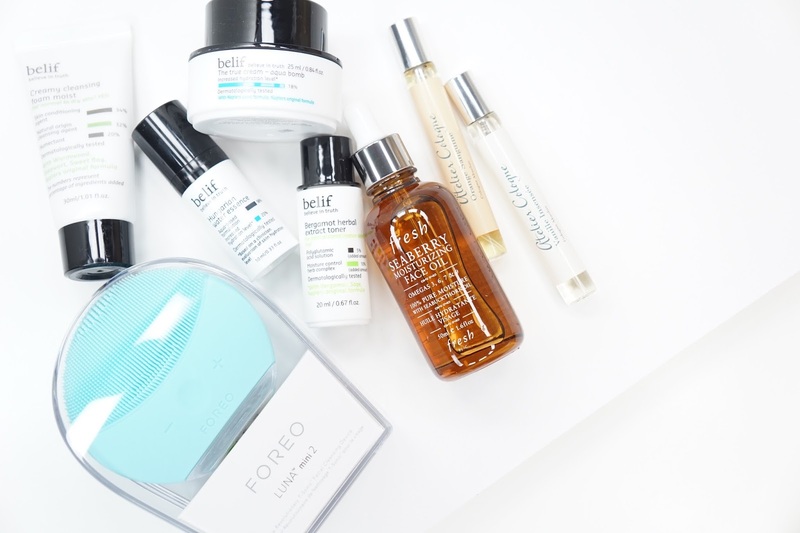 I've always been curious about electronic facial tools like the Clarisonic, but it wasn't until the Foreo came out that I was really interested in trying something like this out. 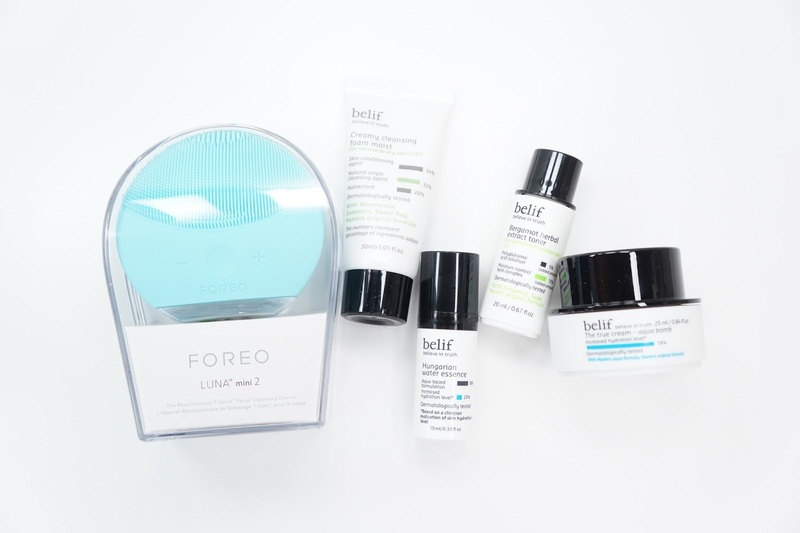 Once I got some good news from work, I treated myself with the Foreo Luna Mini 2 + Belif Merry Minis Set. It was definitely a splurge, but it just felt like great timing to try this set out since the sale was also going on. So far, I'm enjoying the Foreo Luni Mini 2 to help cleanse my face at night. I feel like it also helps prep my skin for my nightly skincare routine as well. I haven't tried out the Belif Bergamot Herbal Extract Toner yet, but I'm loving the True Cream - Aqua Bomb and Hungarian Water Essence so far. The Creamy Cleansing Foam Moist actually makes my face feel a bit dry compared to my normal foaming cleanser though and so I haven't been using that one as much. What are some of your skincare essentials? What do you always need in your skincare routine? Have you tried electronic facial tools before?